No one wants to become injured but lets face it, injuries do happen. If you do become injured it is very important to look at the vitamins and minerals that your body needs to aid with your recovery. Here is a brief overview of what your body needs in the time of an injury even if the injury is as small as a sprained ankle or as large as a torn rotator cuff. The first thing that will aid in injury recovery is Vitamin C. Vitamin C is a vitamin that helps your body to produce collagen. Collagen is a protein that the body produces that aids in its flexibility and strength. It also helps the human body repair bone and tendons. As the body becomes stressed the body tends to get rid of collagen through the urine. When injured it is important to find your happy place because stress is sometimes inevitable. When we look at how much Vitamin C our body needs we do not want to ingest more than 2,000 milligrams per day. The recommended daily allotment for men is 90 milligrams and 75 milligrams for women. Some good examples of foods that are rich in Vitamin C are oranges, broccoli, tomatoes, grapefruit, and red bell peppers. The second Vitamin that will aid in your injury recovery is Vitamin A. Vitamin A is a vitamin that is known to help the body develop its bones as well as grow cells. 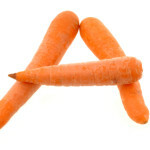 Vitamin A is also known to aid in a healthy immune system. When dealing with injuries such as burns or large wounds Vitamin A causes the mucous membranes in one’s skin to repel bacteria and viruses. 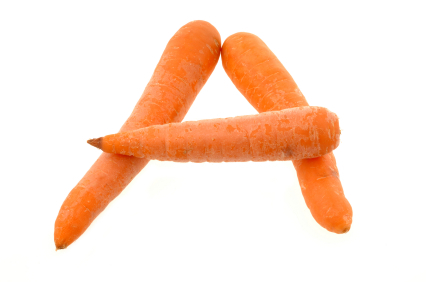 When we look at how much Vitamin A our body needs we do not want to ingest more than 3,000 RAE (10,000 IU) per day. The recommended daily allotment for men is 900 RAE and 700 RAE for women. Some foods that are rich in the Vitamin A are spinach, carrots, sweet potatoes, and liver. The easiest way to get all of your Vitamin A is through liver. In just one ounce of liver you are giving your body 9,000 IU’s of the vitamin which is very close to the maximum amount that your body can handle. The third mineral that you can feed your body to aid in Injury recovery is Zinc. Zinc aids in the healing of wounds.The recommended daily allotment for zinc is 11 milligrams per day for men and 8 milligrams per day for women. The human body should not take in more than 40 milligrams of Zinc per day. Some studies have shown that the mineral zinc is better absorbed by the human body in small amounts rather than in large amounts. Human studies have shown that cow milk helps your body absorb the mineral. Also, the ingestion of high amounts of fiber and protein within a given day reduces zinc’s bioavailability. 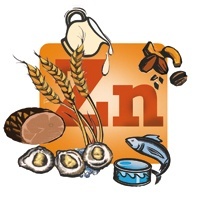 Zinc is highly concentrated in red and white meat and shellfish, and is also found in beans, nuts, almonds, whole grains, pumpkin seeds, and sunflower seeds. These three nutritional items should be very helpful in shortening your recovery time. It is also important when you look at dealing with an injury to adjust the amount of calories that you put into your body within a given day. It is important to remember that when injured you will not be using your body in the same way that you would be if you were 100% healthy. This means that you will most likely not be burning the same amount of calories that you would be in a “healthy” day. Therefore adjusting and reducing the amount of calories that you ingest in one day will keep you from gaining too much weight in the time of an injury. If you have any questions about weight loss, diet/nutrition, or any other fitness needs CONTACT US at Lionheart Personal Training Studio in St. Louis, MO. I’ve been working out with you guys for about six months and I’m in the best shape of my life. I’m lifting more than I have in my life. With this new level of activity I find that I struggle most with trying to figure out what to eat to help me continue to burn fat and build muscle. I’ve tried protein shakes and Ignition off and on but don’t know enough about what to take, how much, when, etc. I’ve gone to the supplement stores and they talk WAY over my head. So talk to me like I’m two and tell me what you think would help a 44 year old man burn fat, build muscle, etc. as it relates to shakes, powders, and nutrition. Rememer I said act like I’m 2 lol….